Short Product Description: Gentle Exfoliation, removing of Dead Skin leaving skin healthy and Sheen. Product Website Address: Essence of Paradise – "Where Everyone can afford an Essence in Paradise"
Are you tired of using products with chemical ingredients that you cannot pronounce? We customize and specialize in aromatherapy and the medicinal properties of natural and organic culinary herbs and spices. 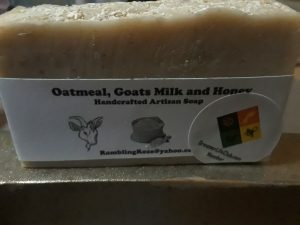 All of our soaps and lotions contain organic and natural extracts, the purest essential oils, finest herbs, spices, coconut oil, coconut milk, goat milk, palm oil, safflower oil, sesame oil, hemp oil, rice bran oil, castor oil, jojoba oil, pumpkin seed oil, argan oil, mango butter, ginger, sea kelp, yogurt, fresh fruits that will reawaken your natural essence, soften, silken, and rejuvenate your whole body. 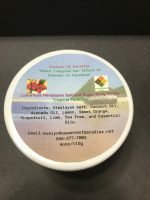 Essence of Paradise manufactures in small batches to insure top quality in our products and we package all of our products. We do not test our products on animals and we are also eco-friendly.